Nicky Bomba has once again rallied his musical cohorts and produced a fresh sounding album that lifts off beautifully from their last highly acclaimed excursion. After spending the last 2 years performing around the globe, Bustamento have returned to musical shores with a great collection of songs capturing the international flavour of their intrepid travels. An exciting departure from the Carribbean based style of their ARIA nominated first album (Intrepid Adventures to the Lost Riddim islands), the new release shows the band flexing its creative muscle. INTERCONTINENTAL JOURNAL 7 kicks off with effervescent 'Fez in Fez' immediately catapulting this musical mission on a round the world adventure of fun and games. Songs like 'Caretaker' and 'Rise Up' still pay homage to their Reggae and Calypso roots and the added flavour of Steel Pan adds a spice that enhances every musical dish. The first single, ' Back Again' suggests a Motown base with a Calypso feel, ‘We All Make Mistakes', a thick drum bed under a Pacific Ukelele serenade, 'Josephine' (based on the incredible Josephine Baker) hits the classic syncopated jungle groove while the 'Glasto Mud Shuffle' takes us on a New Orleans swamp boogie. 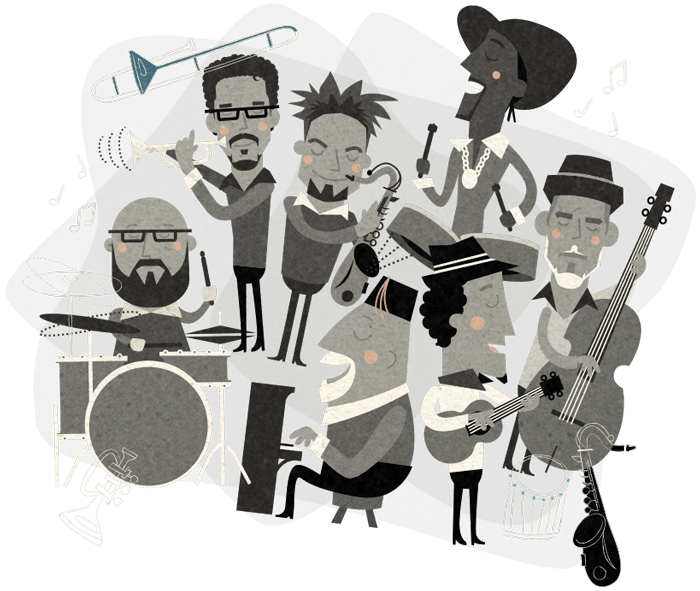 The songs intertwine effortlessly and show the vast array of ideas in Bustamento’s multicultural kitchen. As the liner notes describe. .....Mediterranean Blue with a Burgundy Fez.....tilted just enough to know there's a hybrid in the house. Byron Bay Boogaloo meets African horn snappin' goodness. Glastonbury mud shuffles with a New Orleans blood transfusion. Jamaican Reggae Bootysway with a hot Trinidadian Sauce..
Mexican love songs sprinkled with Middle Eastern Desert dust. Parisien Tap Dancin' flurries with a cheetah at your heels. "Dance boy, Dance!" It was all there to be discovered. 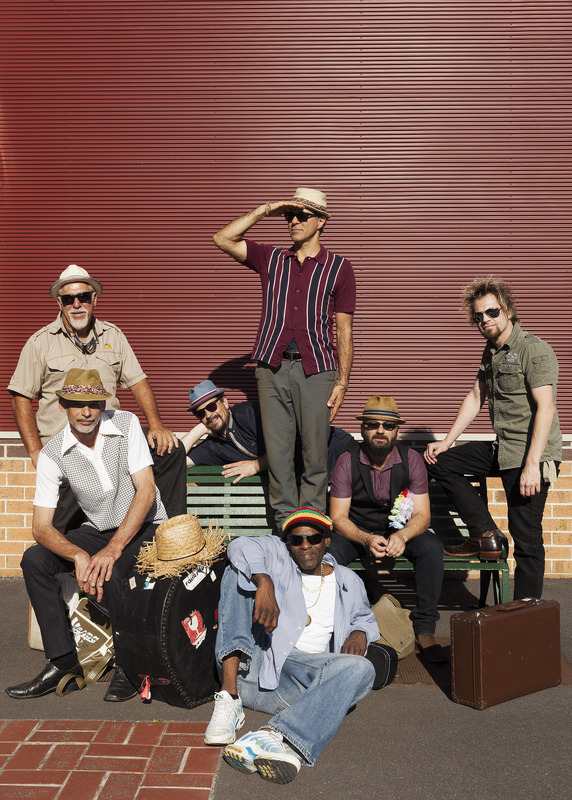 Nicky Bomba’s comical personality shines through in this record and the mateship of these musicians, who have played together with Nicky in all of his performing bands (Bomba, Melbourne Ska Orchestra), is very tight. As Nicky describes,"The whole process was seamless and fun. We have known each other for quite a while and we can travel on incredible tangents on the whiff of a musical seed. We have experienced a lot together so there was days of subject matter and reference ideas to spur us along. I have a great deal of love and respect for our sweet team and it was a pleasure to see us all fly and have fun. There were no rules as to where we could travel so the ideas flowed like a delectable chocolate fountain!" In keeping with their philosophy of making every release special, the artwork depicts all members as cartoon characters on a round the world mission, quality retro styling that feels like a small book with lyrics and stories. Bustamento will be touring INTERCONTINENTAL JOURNAL 7 over March & April, 2015. The first single ‘BACK AGAIN’ is at radio now. The album is out now through the recently re-launched label Transmitter Records and is working as a subsidiary of ABC Music. © Copyright 2019 Bustamento. All rights reserved.